NO REMODELING NEEDED! MOVE-IN READY! This entertainer's dream home HAS IT ALL featuring 4 bedrooms, formal dining & home office/den, pool & spa, summer kitchen, fenced back yard & 3-car garage! 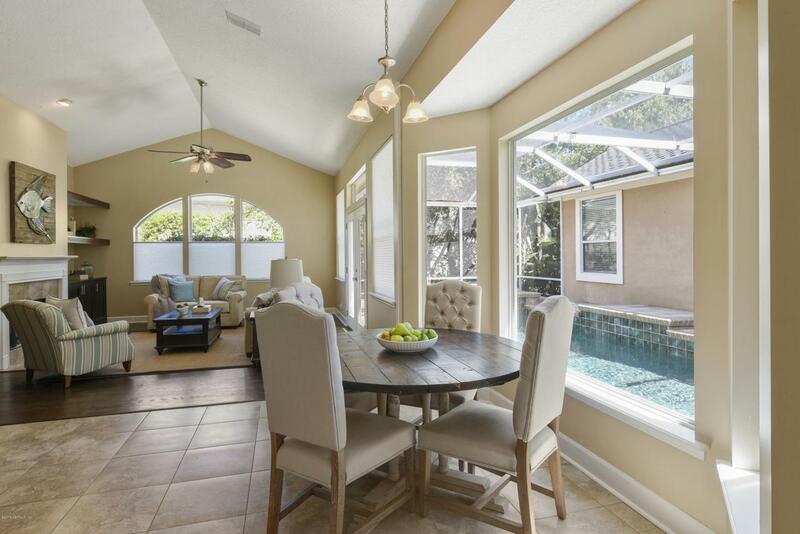 LIGHT & BRIGHT interior w/large picture windows & French doors opening to the pool. Soaring ceilings throughout! 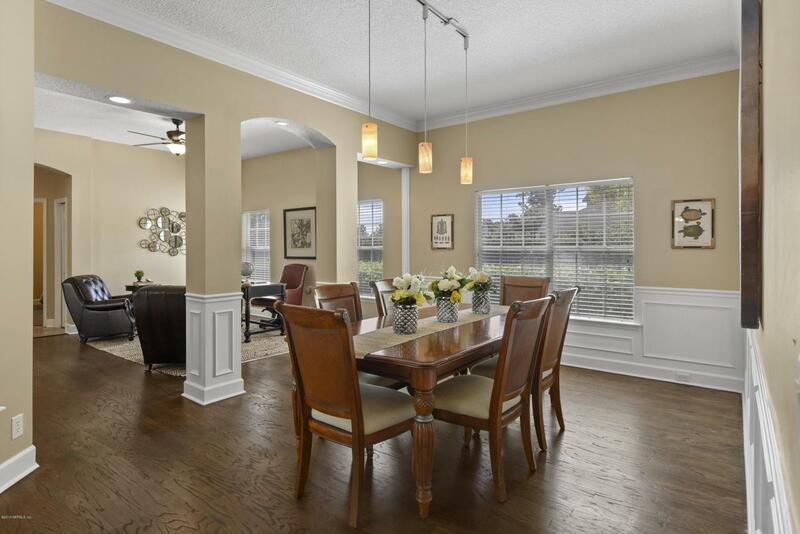 Private master w/stunning double-tray ceiling, & oversized walk-in closet. Wood flooring, 2 rooms w/new luxury carpeting & tile in wet areas. Courtyard heated pool & spa offers ultimate privacy. Bonus 3-car garage for golf cart storage or a weekend cruiser. High quality roof (2008) featuring GAF designer shingles. Updated heating & air (2014). Home sits on a corner lot w/natural buffers all around. Entertain guests poolside w/your summer kitchen & enjoy a new lifestyle! Plus, No CDD Fees!Spacious fenced back yard with plenty of room for play set or dog amenities. Other interior features include stylish wood floors, built-in cabinets & bookshelves in family room, stone paver entry & gutter system. Located in a quiet cul-de-sac off main roads. Short walk to the neighborhood park & recreation field. Enjoy the gated community of Jax Golf & Country Club. Impressive clubhouse overlooking 18-hole, Clyde Johnston designed golf course. Several membership opportunities such as golf, tennis & social including pool, fitness & dining. Dine in the elegant clubhouse restaurant or call ahead for convenient take home delivery. Fun family & social activities throughout the year! Members can take advantage of the many kids onsite classes & camps. Dance & karate are offered year-round along with recreational & sport specific camps in the summer months. The kids clubhouse offers child care while members enjoy club amenities. Tennis amenities feature 10 lighted Har-Tru courts with 2 stadium viewing areas. Conveniently located minutes to the beaches & St Johns Town Center. Short drive to downtown Jax & Jax Int'l Airport. Home Owner Assoc Name Marsh Landing Mgmt.